Learning to read doesn't have to be something a child learns in preschool or kindergarten. Parents can teach their child to read as early as 9 months old. All it takes is some time, dedication and, most of all, repetition! Babies and toddlers can begin to read simple words by implementing some simple techniques into their daily life. Parents must start by reading to their child. As soon as baby can sit up, usually at about 5-6 months old, start reading books to your baby daily. Exposing the child to as many books as possible at an early age helps build an early interest in reading that tends to remain through adulthood. Parents should try to find books with large print and plenty of colorful pictures to attract the child's attention. As parents read the book, they should guide their finger along the font to demonstrate how books are read. After seeing this several times, some toddlers may start to follow along with their own finger. For babies, parents can also just point out pictures in the book and say the word aloud instead of reading. Although the book is not being read, babies will still acquire the language and identify the picture if it's heard repeatedly. 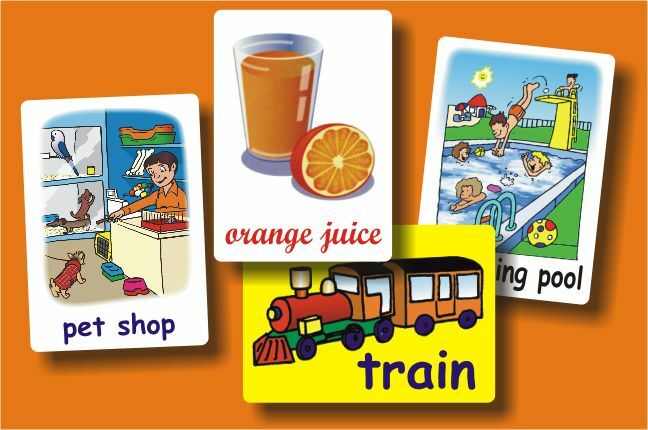 Flash cards are a great tool to use with babies, toddlers and up. Flash cards can be purchased or made at home out of 3 x 5 cards or card stock sheets of paper. Mini dry erase boards also make excellent reusable flash cards that can also be used later down the line for word games. It is best to start out with shot, simple words that children can identify with. Words such as hi, ear, nose, toes, leg, arm, eat and hand are great started words. Parents can show the child the flash card, read it aloud and point to the body part it identifies. For words such as hi or wave, the action of waving or eating can be performed. The important thing to remember when reading books or flashcards to children is to enunciate the word very clearly. Children look at the mouth and listen for specific sounds when learning to read and speak. In addition to the word on the flash card, parents can also include a picture of an object on the card. This will help the child identify the word with an object when the object isn't immediately available such as car, house, dog, cat and bird. Exposing your child to language in his natural environment is also helpful in reading and speaking. Parents can start by labeling anything and everything around the home. While this may seem tedious and time consuming, it is very helpful in helping children read and speak. Parents can type the words on a computer, print them out and cut them out to save time. They can label all household objects, rooms, appliances and furniture and ask the child to read the word as they walk around the house throughout the day. While the child may not necessarily be reading the word if they already know how to speak and what the object is, they will eventually associate the word with the object and be able to read it out of its context in the home. When outdoors, parents should point out familiar store signs such as Target, Ralphs, Vons and Burger King. Environmental font is often easily recognized by children since signs tend to be large and colorful, attracting a child's attention. After a child is able to easily read signs outdoors, parents can try to write the word on paper and see if the child can recognize the word outside of its setting. While children enjoy playing with cars, dolls and stuffed animals, there are also many education toys on the market today that children enjoy. Parents should find a balance when purchasing toys for their child and buy plenty of toys that serve both purposed. Blocks have always been a popular toy that children enjoy building things with. There are many blocks available with letters, pictures and numbers on them to help the child learn as he builds. Many stuffed animals also have sound incorporated in them which count, sing or read to a child on their own. In addition to toys, there are also posters, rugs and chairs that incorporate educational aspects. Rubber floor mats with each of the letters of the alphabet are a great learning tool for kids. Parents and children can form words out of the large letters and switch them around to make numerous words out of the same letters. Educational posters are also a great tool to put up in a child's room or playroom. Teachers use these in their classroom to encourage reading and parents can just as easily do the same at home. Even bath time is an excellent time to read. There are many books that are specifically made for the bathtub and are water proof. There are also letters that are made for the bathtub that stick to the sides of the tub. The letters can be used to make words while in the tub such as toes, hand, arm and head. Baby can read the words, say it and point to the body part. While all of these techniques are helpful in getting your child to read, the key is consistency and repetition. Reading and learning must become a habit for a child and the key to making that happen is the parent. Make time each day, whether it's in the morning, after lunch or before bedtime, to sit and read to your child each day. Expose him or her to as much written text as possible and pronounce the word clearly so he can hear how to say it and also see how to say it. Most importantly, repeat, repeat, repeat! Repetition, especially for a baby or toddler, is crucial in a child's ability to read the word. Learning to read and simply learning in general should not be solely left up to teachers. Parents must invest the time to teach their child as well.